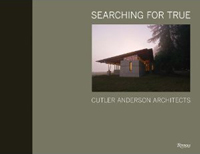 The collaborative effort of three authors, Searching for True: Cutler Anderson Architects (2009) gives an overview of the major projects of Cutler Anderson Architects. 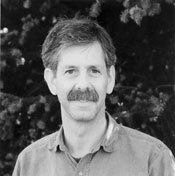 The Bainbridge-based firm is internationally known for its innovative designs and its commitment to sustainable architecture. The book features thirty award winning projects and the project descriptions are supplemented by Art Grice's and Tom Schworer's stunning photography. A reader describes Searching for True as follows: "This book is handsomely bound, is full of imagery, and portrays this firm's work beautifully. The verbage is minimal and supportive and the pictures and additional drawings really tell the story. It is one of my favorite books in my library."